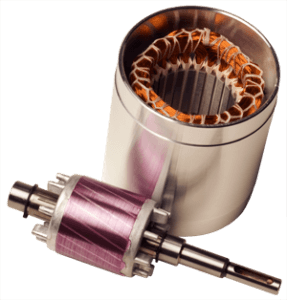 We understand the difficulties that often come with switching to a new motor design. Groschopp motor components are custom engineered to provide tailored motor designs without changing mounting schemes or desired product configurations for OEMs. The lists on this page are examples of the types and general ranges of motor components that Groschopp designs and supplies. Custom voltage, speed, torque, duty cycle, etc.